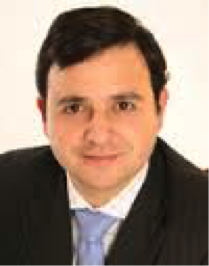 Alberto Costa is an English and Scottish solicitor and notary public with over 15 years professional legal experience. He is the founding principal solicitor at the London based commercial law firm, Costa Carlisle Solicitors. He was a lawyer at Richards Butler (now Reed Smith) an international law firm where he represented the world’s largest shipbuilder, Hyundai Heavy Industries, in multi-jurisdictional very high value cases. He was later appointed by the Treasury Solicitor to the Government Legal Service, where he advised and represented the British government at the most senior levels including the Home Secretary, Lord Chancellor and Minister of Justice. He is a Freeman of the City of London and is a Council Member of the Law Society of Scotland, the regulatory body for Scottish solicitors. Alberto is the Conservative Candidate for South Leicestershire and is campaigning across the constituency building support from residents and businesses. His in-depth knowledge of Whitehall and Westminster, together with his years of working as a lawyer for families, businesses, multi-national companies and the British government, will ensure that South Leicestershire has a strong voice where it counts. His priorities for South Leicestershire include, campaigning for better health services, particularly dementia care, promoting local shops, post offices and public houses in our villages as community assets, partnering with businesses to offer more apprenticeships to younger people and campaigning for more affordable housing.